For much of the past 9 years we have been a one income household. Through the years we have learned how to make the most of our limited discretionary funds when traveling. I believe that life is an adventure and try to share and experience as many things as possible with my children. We have gone to Great Wolf Lodge a few times and really feel like we have a good plan for minimizing the cost and maximizing the fun. We always find discount rates on the accommodations but the real savings happens when you plan ahead. 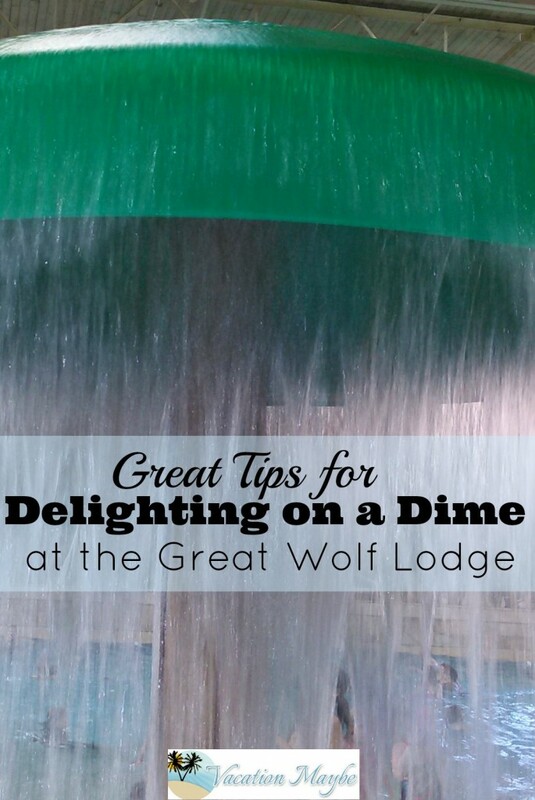 Here are my top tips for delighting on a dime at Great Wolf Lodge because it is not just about how cheap can we travel but also how can we get the biggest bang for our buck and have gobs of fun without breaking the bank. Have a conversation with your family- This may sound too simple or like a buzz kill but seriously sit your kiddos down before you leave and talk to them about realistic expectations. It works. If they have big dreams of going to the arcade and the ice cream parlor and bowling and doing Magic Quest and and and …you better have a big wallet or be prepared to disappoint. Instead, we let them know that the real fun is in enjoying the water park and spending time together. We can go to an arcade any time, we can go bowling any time, but we don’t have access to a water park anytime. We also have a rule that in addition to all the water park fun they may choose only one activity to do that is extra. So the first time we went they visited the arcade. (See below for how to make the arcade work for you weeks before you leave for the Great Wolf Lodge) The second time they choose to get ice cream from the ice cream parlor. The third time they did a Magic Quest. Bonus, this increases the excitement for your next trip because they can’t wait to go back and try something new. Walkie Talkies – Pack your walkie talkies. These are not only practical to help with logistics but can really be fun. Exploring an enormous hotel with a walkie talkie is a great way to give your kids a chance to stretch their independence muscle. I have two boys so they love to use the walkie talkies. They feel very grown up when they can walk ahead of us but instead of yelling for them to wait up I just call them on the walkie talkie. They love it because they feel like they are in charge of their adventure. Pack a gift- Avoid the high cost of gift shop trinkets by packing a small gift for your child. Let them open it when they get the itch to go shopping or to spend money on souvenirs. This gift could be anything from a new stuffed animal (say a wolf maybe) or new goggles. You will pay much less for any item you take along than what they normally charge at gift shops. This trip we pack new goggles for my sons. 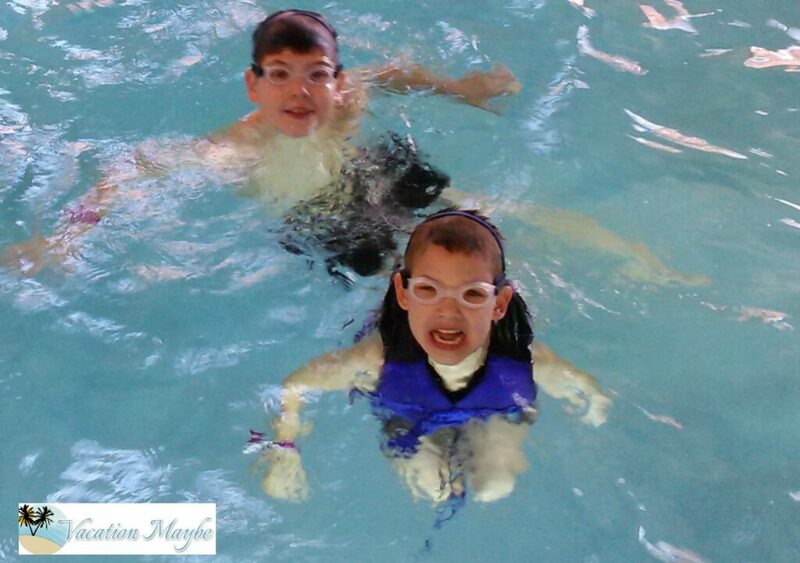 They loved them and were so excited to have something “new from the Great Wolf Lodge” even though the goggles came from home. 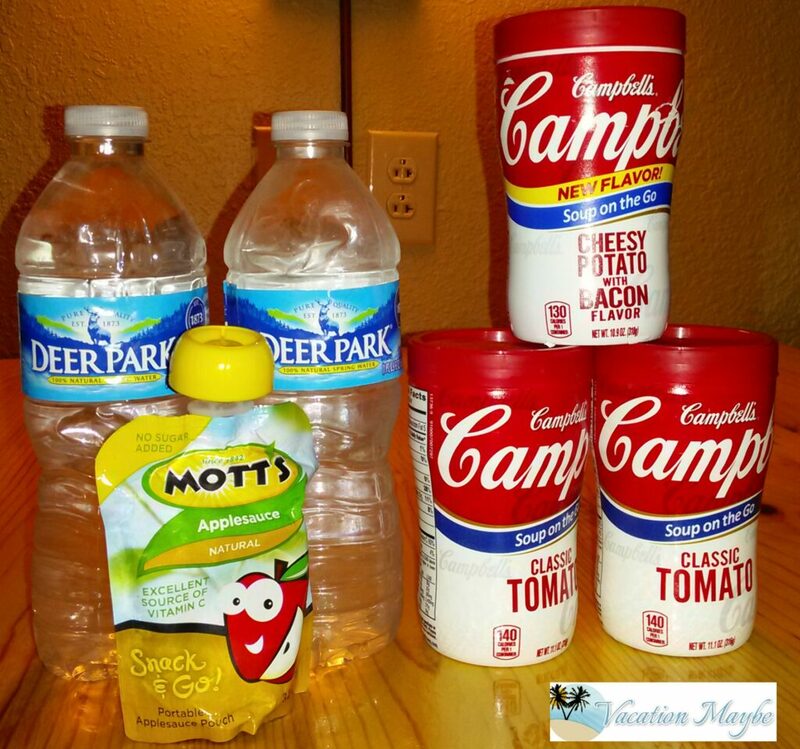 Pack Snacks and Meals – Dining out for three meals a day for a family of four can really bust the budget and fast. So instead we pack simple meals like yogurt and fresh fruit for breakfast. We pack the stuff to make peanut butter and jelly sandwiches for lunch. We have also packed dinner of tomato soup and cheese sticks. The kind of soups you can microwave and drink right from the container are great, no mess and no spoons required. The rooms have a small refrigerator and microwave. If you are worried there won’t be enough room in the refrigerator take your cooler in with you. Ice is free! Don’t forget the snacks. Playing hard in the water park all day means super hungry kids. You will have to go back to your room to eat but I think you will find a break from the main water park area is nice and often needed. Set up a system for your kids to earn money for the arcade – Weeks before we go on a trip we convert our normal chore chart ticket system into a way for our children to earn money to spend in the arcade or any where at Great Wolf Lodge in general. Each child receives a quarter for every chore completed or when we catch them doing good. This is excellent motivation to promote good behavior and get your kids into the habit of getting their chores done. It is always amazing to see how much they can accomplish when they are trying to earn money to spend on vacation. We do the same for all our trips so the kids earn their own spending money. This also helps them make better choices when it comes to spending their own hard earned cash. 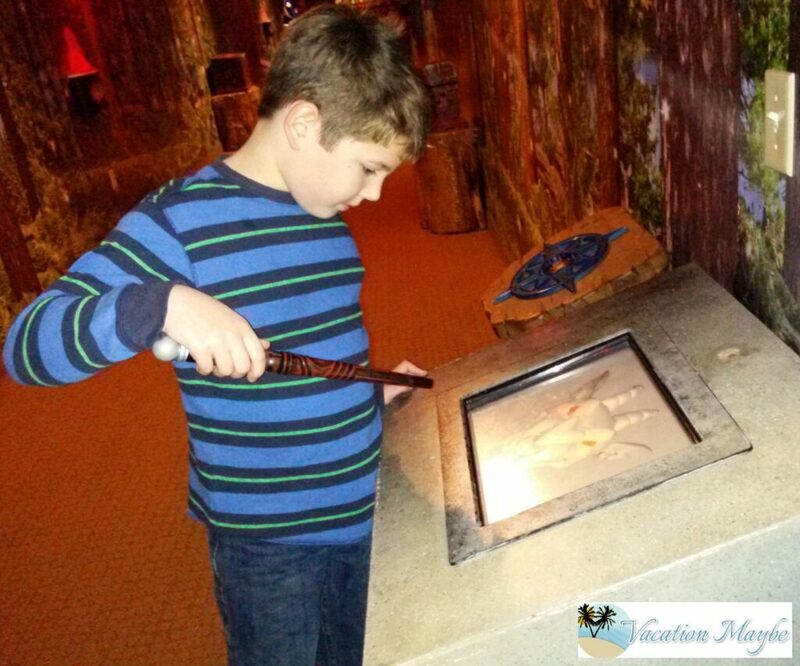 A little planning ahead of time is all it takes to delight on a dime at the Great Wolf Lodge! I loved this blog! I’ve been to great wolf lodge one time before but needed to refresh my memory on how to do this again for the least amount of money! I waited until the day before to look up ideas and couldn’t have the children earn money so instead we gave them $20 for the car ride there and three rules…every time they broke a rule they lost $5 and if they made it to the hotel with all of their money then they earned an extra $5 (they made it). The walkie talkies were the best idea anyone has ever had!!! My son was in love with his freedom and had a blast using them with my husband! I also brought a cheap spa set and pampered my daughter without spending money!! Bringing snacks and meals was a requirement! The kids ate everything I brought and still ordered meals! They were starving due to all of the constant fun! Thanks! Great Wolf is an amazing experience all my kids love it!